Spiritual Path To Permanent Transformation. Video - Proven Curriculum. Home » What Is Nityananda Shaktipat Yoga? From Wisdom, Wellness. To Be Both Wise and Well Is The Practice and Goal of Our Yoga. The truth is, if you examine your life very carefully, you will see that every activity you engage in, every thought you reach for, every limiting desire and craving you pursue – that you are doing so for one reason – because you want to be happy. 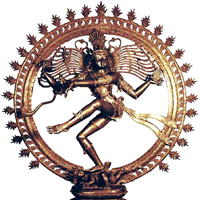 Nityananda Shaktipat Yoga is a full curriculum of study. It includes programs, events, courses, weekend Shaktipat Blessing retreats, and week-long meditation retreats. Additionally, you will find this curriculum is designed for all those who are seeking a spiritual path to permanent transformation. People who come here find that this happens by way of inner Peace, Happiness and Divine Love that is without distinctions. At the same time, you will also find that ours is an approach that includes wellness and vibrant health. You’ve been looking for this happiness like searching for water in a desert. You’ve been doing so for so many lifetimes. You’re always looking outside for people, places, and things that you hope will complete you. Isn’t this true? Similarly, through the law of diminishing returns, some people realize that, the more they pursue happiness outside, the less they get in return. Maybe you’ve already reached this point. If you haven’t, you will, because that is the sacred law here that is instituted by God. Above all, Happiness is not to be found outside in anything that is transient or ephemeral. On the contrary, you find it only through a true spiritual path where spiritual transformation is permanent. Nityananda Shaktipat Yoga Programs. Are you like so many people who confuse satisfaction with Happiness? If you examine your thinking and behavior from the witness to your mind, you will probably observe how you confuse satisfaction with happiness. Consequently, people every where find this to be a great dilemma. You pursue limiting desire and craving in the form of pleasure. As with other people, you hope this pursuit will allow you to avoid pain. For example, you pursue comfort, security and reward. You are told to do so in the society in which you live. If you’re like most people, this is the way in which you’ve been raised. For instance, many people find that family and friends dictate to you that you should follow what’s popular. In this way, you hope to experience permanent happiness. But, in most cases, you’ve probably just been calling satisfaction happiness, confusing the two. The truth is—happiness, in order to be Happiness, cannot be connected to any outcome. For this reason, Nityananda Shaktipat Yoga integrates Sadguru Kedarji’s Ecology of Wellness and his 4 Pillars of Total Well-Being. These provide for an harmonious balance that allow you to be in the world without being of the world. At the same time, this allows you to freely express your Humanity, out of sheer Joy. In other words, this is a state that secures Happiness. Long before Body, Mind, Spirit, NLP and inner engineering, Sadguru Kedarji worked with and was mentored by the early pioneers of the Whole Life movement. These mentors were experts in Holistic Nutrition and Holistic Healing. Collectively, this has now come to be known as the Wellness, Total Well-Being and lifestyle medicine approaches to vibrant health. Kedarji studied Oriental Medicine, Iridology and Holistic Nutrition with Michio Kushi (co-founder of the Macrobiotic movement) and Aveline Kushi. Additionally, Sadguru Kedarji is a graduate of the Kushi Institute. He also studied with Dr. Bernard Jensen, Wataru Ohashi and Michael Abehsera. Additional studies were with Masaaki Yamaguchi (the founder of the Souen restaurant chain and Souen macrobiotic health). Also, he was coached by William Dufty (author of the book Sugar Blues) and Gloria Swanson (co-author of the book Sugar Blues). He studied herbology, botanical medicine and holistic, vegan cooking with Anne Marie Colbin and Victor Kulvinskas, both original pioneers in these fields. Indeed, with this extensive background in Total Well-Being, Sadguru Kedarji has integrated a formidable approach to Total Well-Being into the Nityananda Shaktipat Yoga curriculum. View videos in which he speaks more about this integration and offering. Sadguru Kedarji is also the founder and owner of Soma Essential Healing.